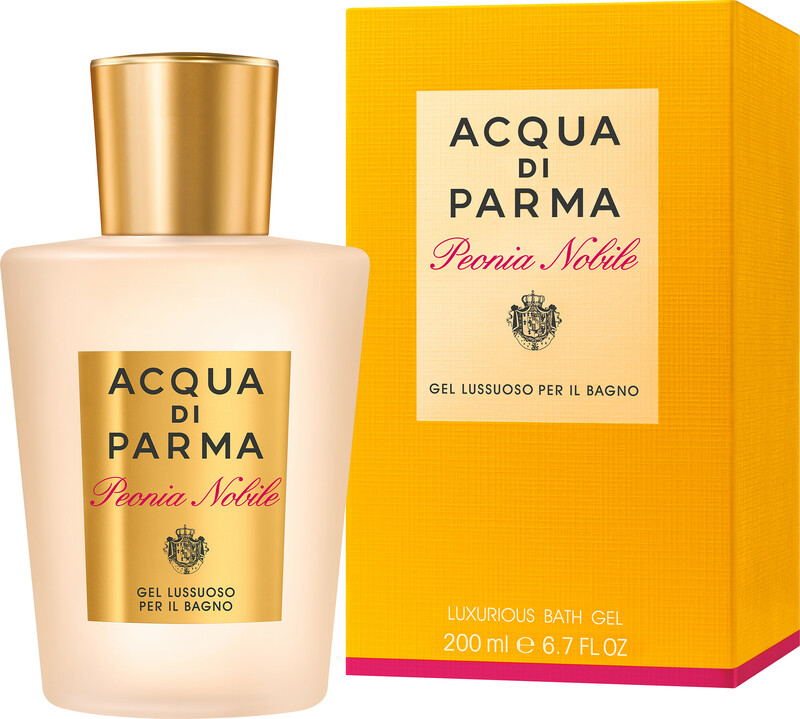 Delight in the elegant lather of the Acqua di Parma Peonia Nobile Luxurious Bath and Shower Gel, a decadent body wash that features mouth watering facets of the unique peony flower. Featuring the delectable fragrance notes of the lavish Peonia Nobile fragrance, this uplifting shower gel transforms your bathing routine into a moment of pure pleasure with its delicate texture and show-stopping scent. Caressing your skin with its nourishing lather, rich proteins and sweet almond oils blend together beautifully, protecting and hydrating your skin. Innovative peony extract shields your skin with antioxidant properties, whilst shimmering pearl powder leaves your skin looking and feeling radiant. Work into lather on your skin, then rinse. 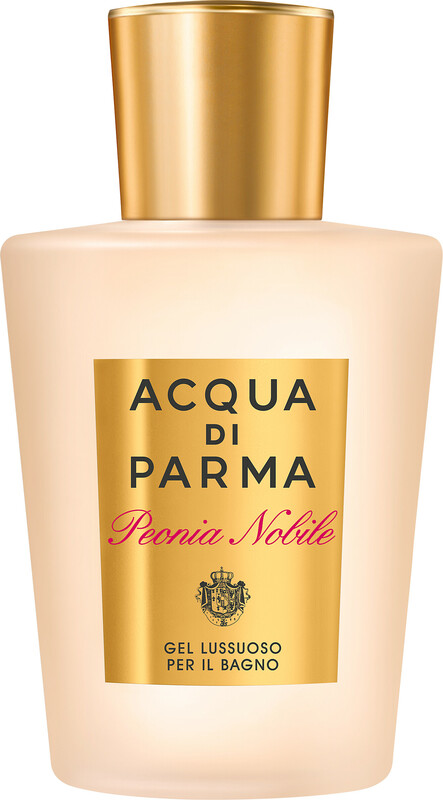 Follow with the Acqua di Parma Peonia Nobile Luxurious Body Cream for scent longevity.